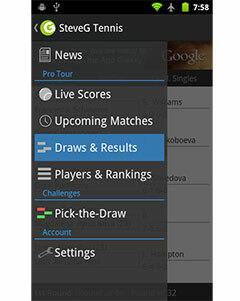 An entertaining match-up between Bulgaria’s Grigor Dimitrov (Player Profile) and Radek Stepanek (Player Profile) takes place in the opening round of the Swiss Open. It is the first time these two will meet on the professional tour and will likely be a fun contest between two entertaining talents. Dimitrov vs Stepanek Head to Head. Grigor Dimitrov won his first career ATP Tour title on Sunday, when he overcame World No. 3 David Ferrer to win the If Stockholm Open. The Bulgarian had to come back from a set and a break down to defeat the Spaniard in three sets in one of the best performances of his career. He stated after the match that the win will give him the confidence to perform better against top 10 players now that he knows he is capable of defeating them and will be looking to carry forth that momentum in Basel. There is also a potential encounter with Roger Federer in the quarterfinals in both get through their upcoming matches. He has complied a 33-21 win-loss record this season, including 20-13 on hard courts. 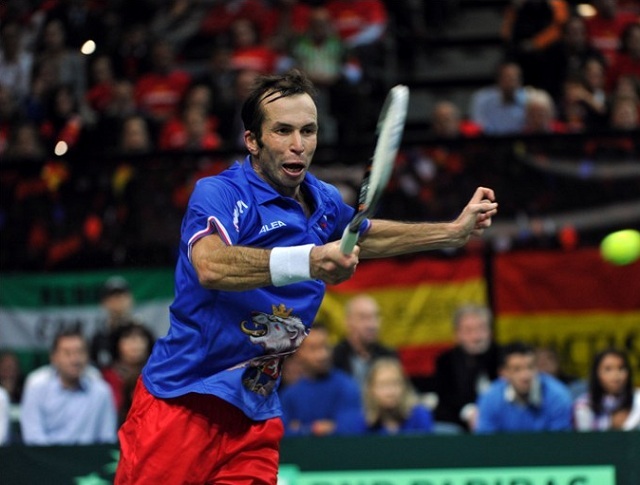 Stepanek reached the quarter-finals of the Vienna Open, where he lost to German No. 1 Tommy Haas. He has had a relatively successful year as he helped Czech Republic reach the Davis Cup final for the second consecutive year after 3-2 victory over Argentina. He beat Monaco in singles action and won the doubles rubber with partner Tomas Berdych. He holds a 15-15 overall record this season and is 10-7 on hard courts. He will have a tough match on his hands tomorrow as he meets crafty youngster Grigor Dimitrov. This marks the first time these two competitors meet on the professional tour. Dimitrov is fresh off his career-best tournament performance and will likely be brimming with confidence heading into this encounter. While that may be a dangerous proposition, the eighth seed will likely be able to control the contest and advance to the second round in Basel. Check out the Grigor Dimitrov Racquet and Nike tennis gear in our shop.